President Ali Bongo Ondimba has left Rabat military hospital for his private residence in the Moroccan capital city where he arrived late last month from Saudi Arabia. The medical team in charge of Ali Bongo on Wednesday allowed him to leave the hospital and continue his recovery at his private residence, according to the President’s entourage. Monday, the African leader received the visit of King Mohamed VI of Morocco. The 59 year old President has been absent from his country since October after flying to Saudi Arabia. The man who has been in power since 2009 suffered a stroke and was admitted to hospital in Riyadh. The Supreme Court of the African country subsequently temporarily handed the power to the Vice President. The absence of the President from the country and speculations about his health condition have caused a stir in the central African country with many believing the one who was re-elected in 2016 has lost abilities to run the country. However, the photos of King Mohammed VI’s visit to the ailing president, the first since Bongo’s hospitalization in Saudi Arabia for almost a month and his coming to Morocco for convalescence on November 29, put an end to rumors. 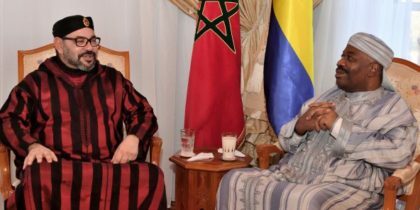 Several Key officials of the Gabonese government have already joined Ali Bongo in Morocco to work on urgent issues.